This increasingly popular three to five-day circuit is set in Nelson Lakes National Park. It is portrayed on a fully-detailed topographic background, which does justice to the alpine environment. The access and exit at the village of St Arnaud is shown. A combination of contours and relief shading gives a realistic landform. 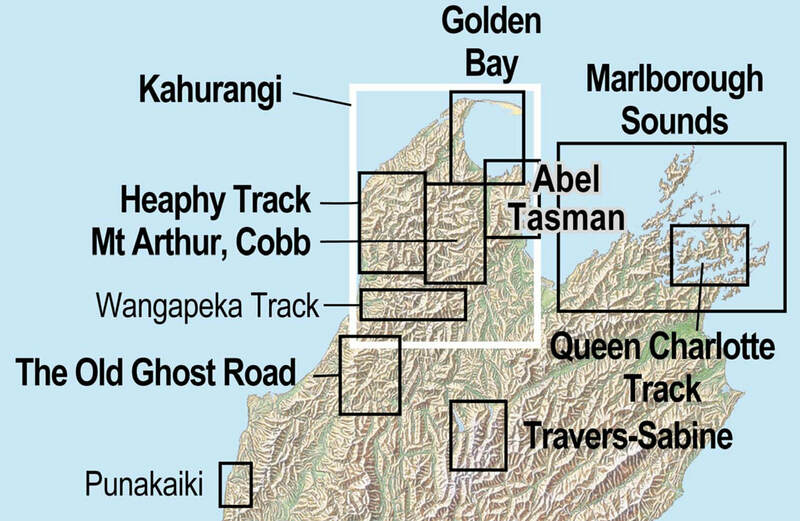 The Rotoroa tramping route (not shown) is currently impassable.